Roofs where photovoltaic solar panels or solar hot water panels cover more of the roof area than any other roof covering material. There are two types of photovoltaic solar panelled roofs: Solar Photovoltaic Roofs and Building Integrated Photovoltaics. 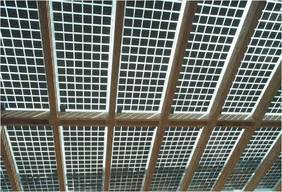 Solar photovoltaic roofs either completely displace conventional roof covering, or are installed over the existing conventional roof and attached to it via special mounting. 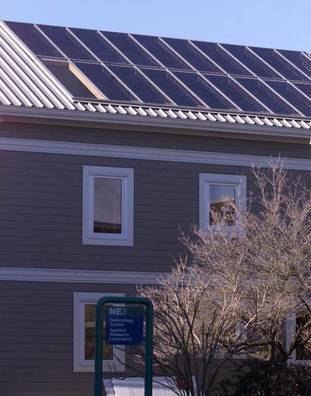 Building Integrated Photovoltaics (BIPV) refer to photovoltaics modules which are directly incorporated into a building envelope by replacing conventional roof covering with photovoltaic elements.